Monarda 'Pardon My Purple'. 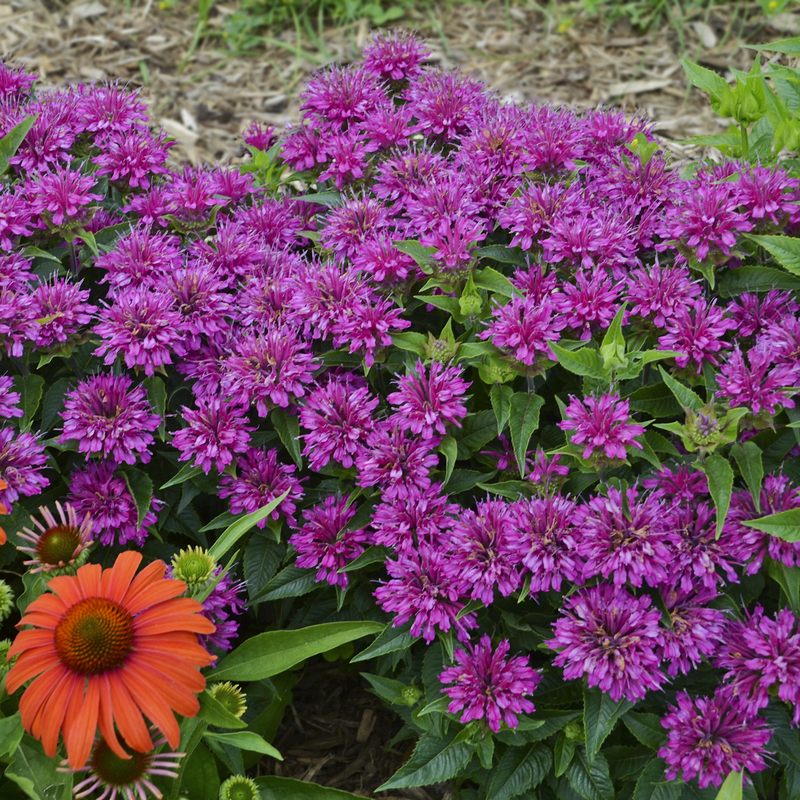 No room for the tall, bushy, traditional Bee Balm in your garden? Now there’s a petite selection that’s easy to tuck into the front of your sunny border and combination containers. Reaching just a foot tall at maturity, this compact selection forms a well-branched clump of deep green, glossy foliage. 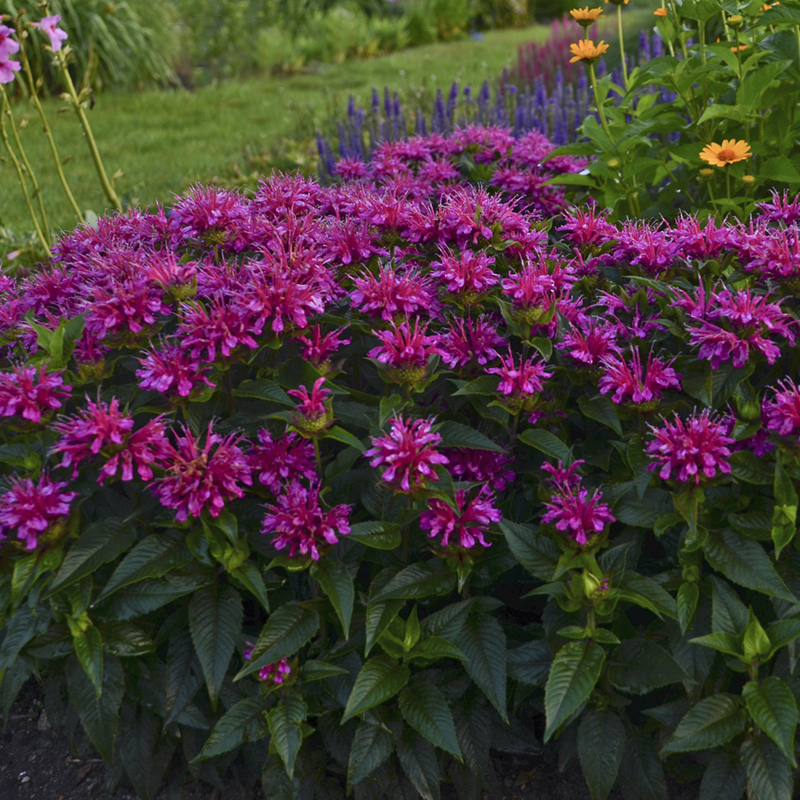 From mid through late summer, fuchsia purple flowers sit just at the top of the foliage. Though the plant may be dwarf, the flowers are the same size as taller selections, measuring a full 2½ - 3 inches across. They add a cool splash of color to the border in high summer. This new selection also offers good resistance to powdery mildew, a problem with many older Bee Balms. Just provide good air circulation, sunshine, and plenty of water and these plants will thrive!.